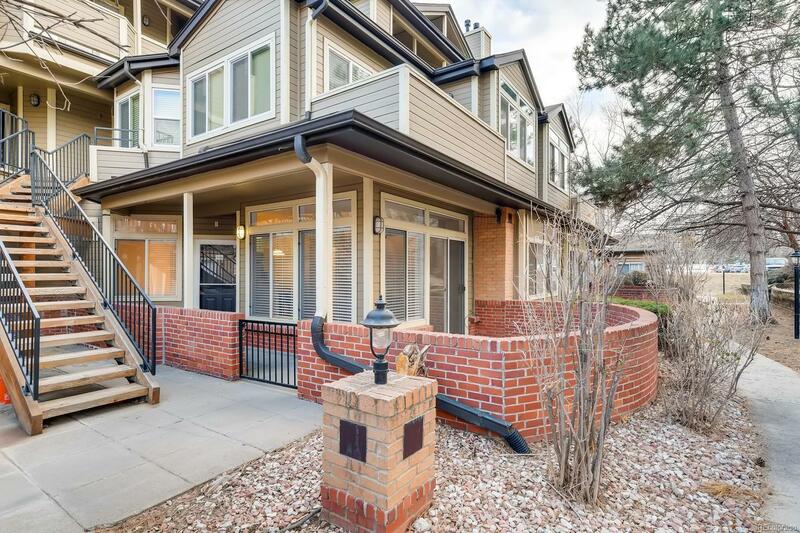 In the HEART of DTC and Greenwood Village is this beautiful, recently renovated Hermitage condo. This 2 bed, 1 bath main floor unit has a perfect split bedroom floor plan which is great for 2 bedroom or 1 bedroom with office lifestyles. You'll enjoy all the recent accommodations made to this unit including a remodeled kitchen with new cabinets, exotic slab granite counters and newer stainless steel appliances. You won't have to spend a penny as ALL systems within the condo are new incl. furnace, air conditioner, and water heater. Cozy up during cold winter nights next to the contemporary ledgerstone-appointed fireplace and retreat to the comfort of the master bedroom with en suite bathroom with new vanity and fixtures. You'll be amazed by the incredible convenience at your fingertips including the ATTACHED garage with storage closet and built-in shelves. The location of this community is incredible with it's easy access to I-25, 10 minute walk to the lightrail, and nearby parks.